What do you get when you cross a tiny patch bay with total mayhem? Well, the bitRanger, apparently – a limited-run collaboration of Bastl Instruments and Casper Electronics (Peter Edwards), and possibly the most interesting surprise to come out of Moogfest this week. That is, it uses Peter’s ongoing cleverness with circuits to let you wire up different patterns, whether you use them as a sound source directly or as a means of controlling other gizmos. So, it’s a synth. But it’s also a pattern generator for other synths. 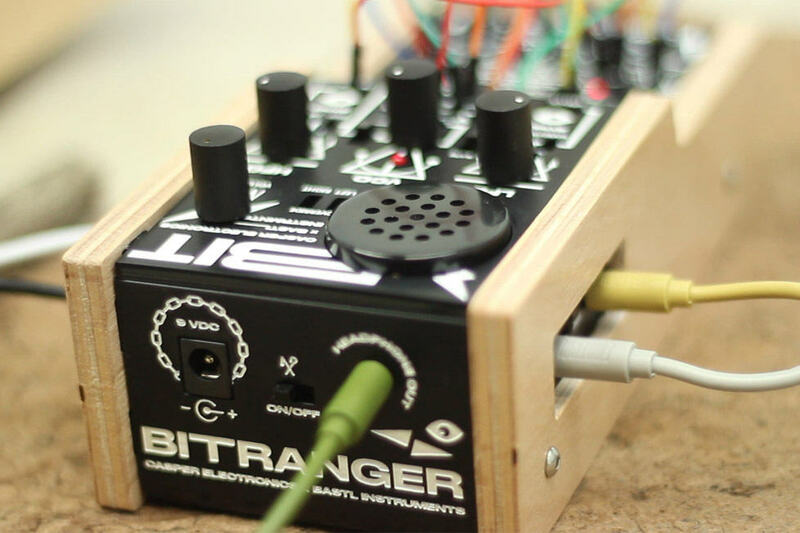 And it’s fitting that the bitRanger debuts in North Carolina at Moogfest rather than back home in Europe, because the creators are explicit about their connection to Moog’s own oddity, the Werkstatt synth. In fact, you can patch them together if you choose. Patch it, you will, as in addition to four knobs and eight switches you get a full 100 patch points. Americans can buy directly at Moogfest (where there’s a first limited edition at the special price of US$259), or look to the store Bastl and Casper have opened in Brooklyn, Detective Squad. 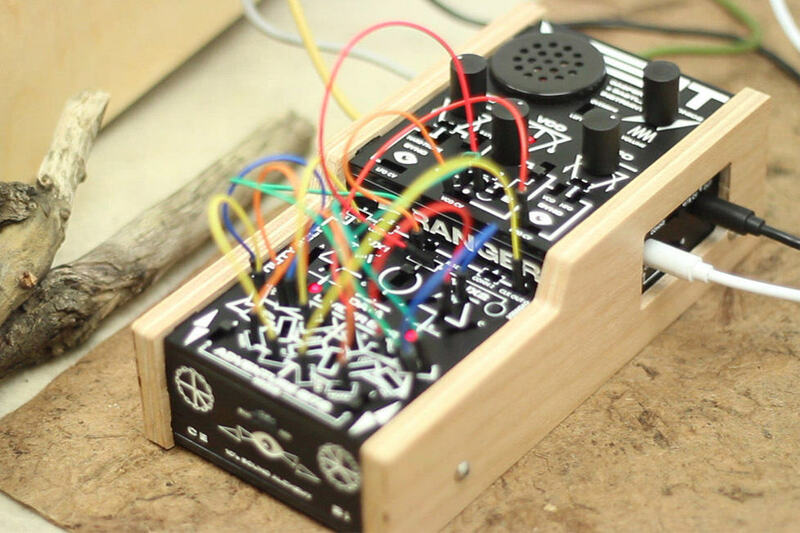 Back here in Europe, you can order from the Bastl noise.kitchen site for 222€ (plus VAT) when it ships in June (I think literally when Peter and the Czech guys get back to Brno). Or, of course, if you happen to be touring Brno to see what all the fuss is about, you can get it from them in person. I recommend drinking some Kofola (caffeinated coffee soda) to get your head ready to do some analog patching. But it’s possible I’m just trying to comfort myself in the fact that I’m not at Moogfest. Hope to get one in for review, though.